Miller's Cave (23PU2) was excavated by Gerard Fowke during 1918 to 1919. He published his results as a portion of Bulletin 76, Smithsonian Institution, Bureau of American Ethnology in 1922. Several of the black and white photographs from the report have been digitally scanned, sharpened, and included in this report. 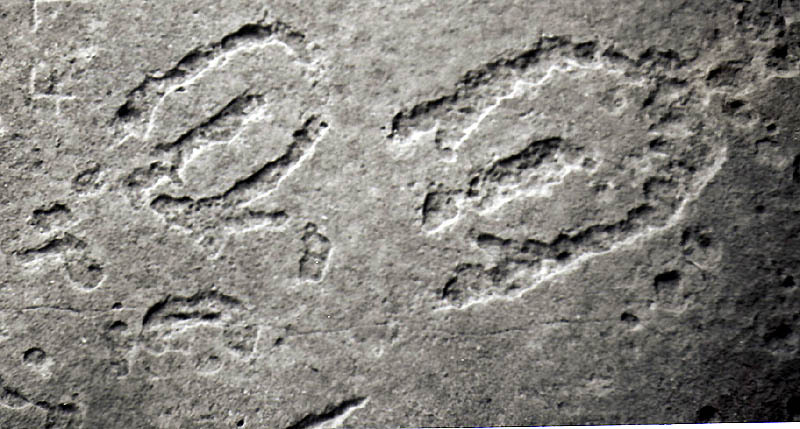 Digital scans of the Native American rock art were provided by Mr. Douglas Melton of Little Rock, Arkansas. 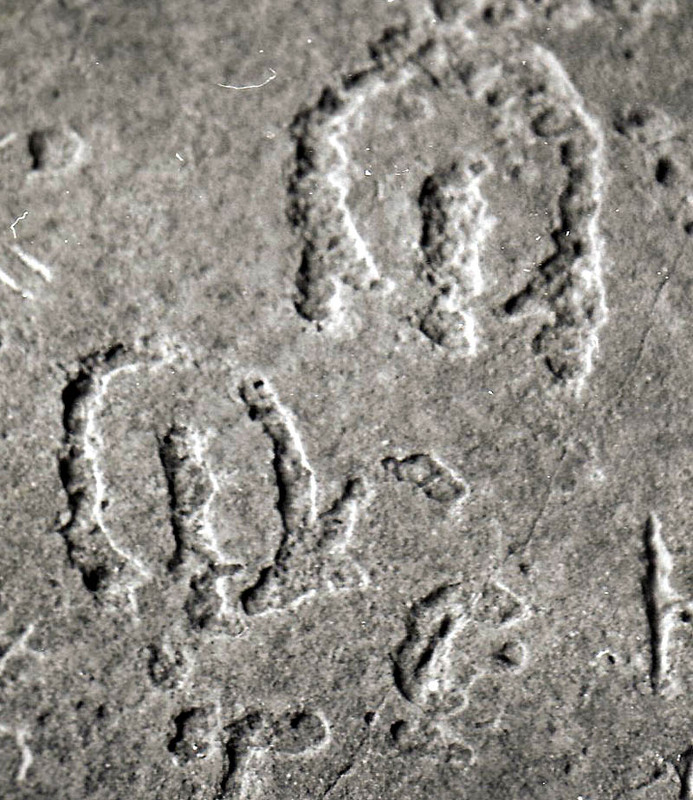 He photographed the petroglyphs during the 1970s while a geology student at Southwest Missouri State University. 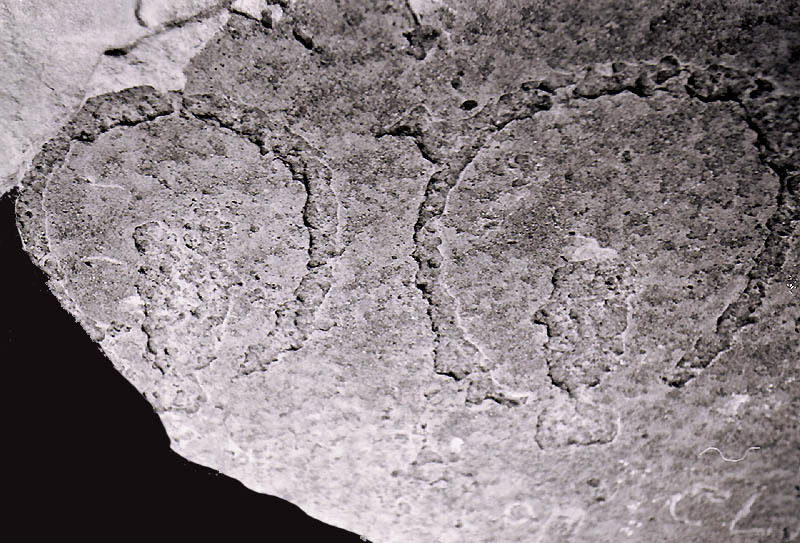 Milton Varney (1990:17) reported that almost all of the rock art at Miller's Cave had been destroyed by vandals and looters. 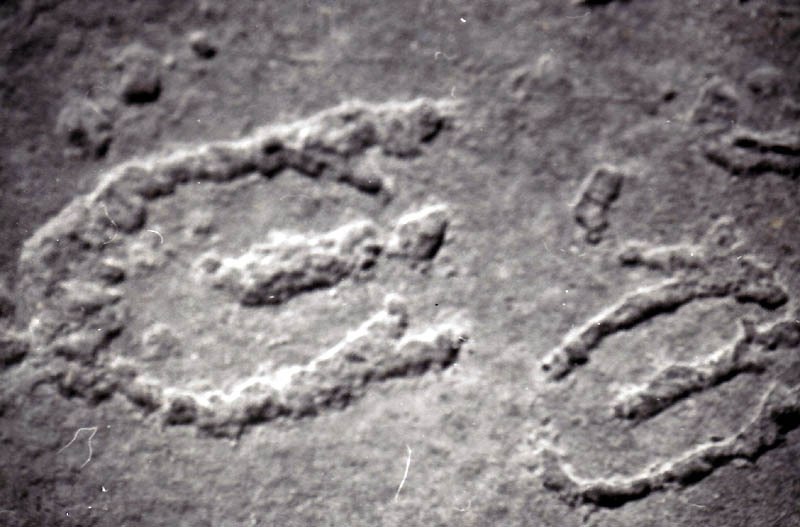 The rock art at the site is discussed by Diaz-Granados and Duncan (2000). The site is not open to the public. 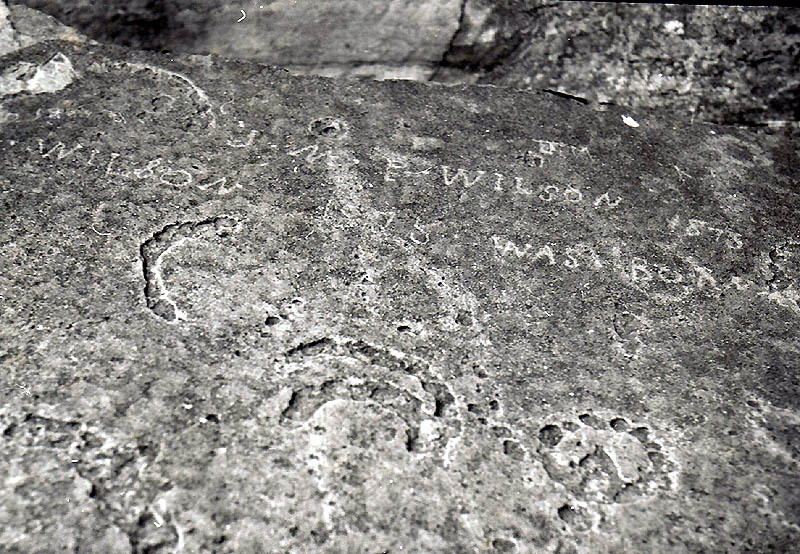 Petroglyphs at Miller's Cave (23PU2). 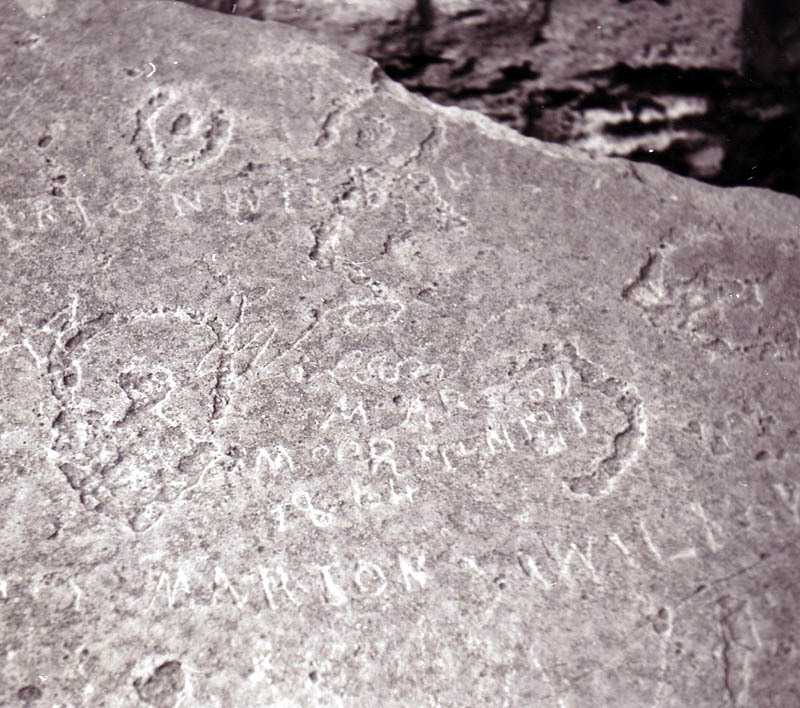 Closeup of Petroglyphs at Miller's Cave. Tools manufactured from antler published by Fowke. 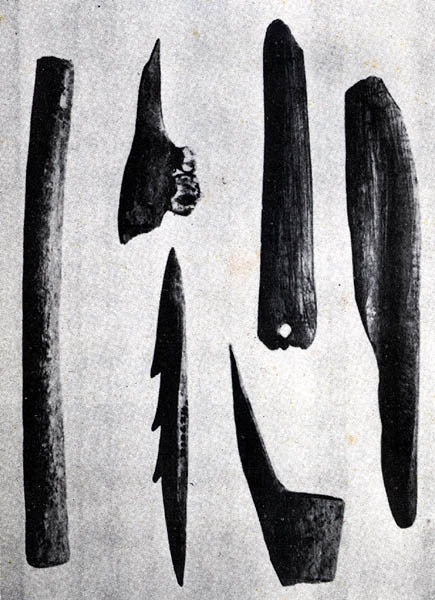 Bone and antler tools from Miller's Cave, published by Fowke. 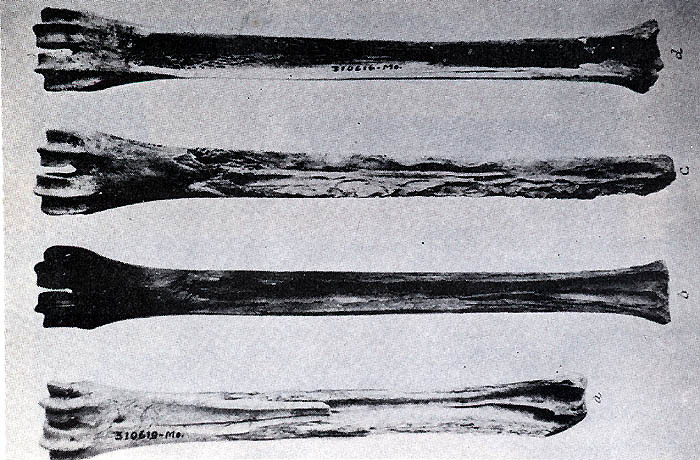 Long bones (Deer canon bone?) 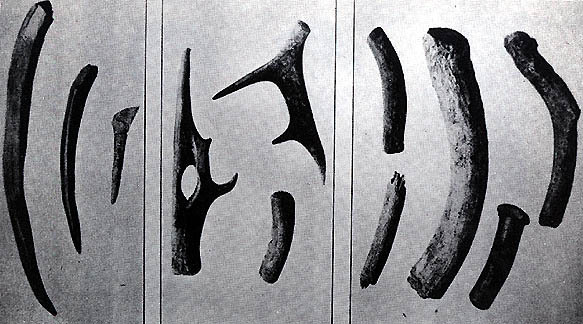 in various stages of being split in preparation for making bone tools from Miller's Cave, published by Fowke. Spoons manufactured from mussel shells (top row), pottery disks and a broken spoon manufactured out of a deer skull. The two pottery disks have a drilled center and closely resemble Old World spindle whorls. Drilled are associated with the Meramec Spring Phase occupation at Tick Creek Cave where they dated to the Late Woodland Period. 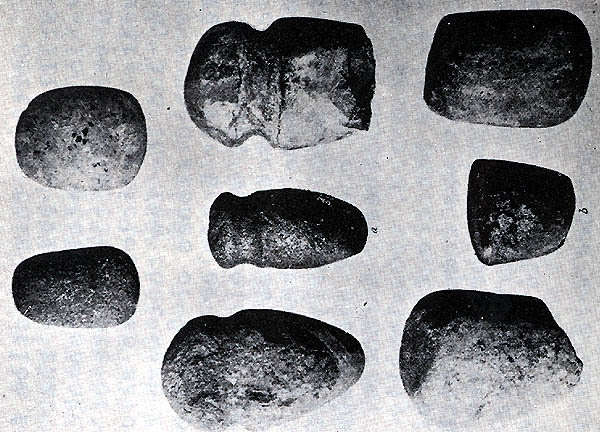 Groundstone tools from Miller's Cave, published by Fowke. The full grooved axes probably date to the Middle Archaic Period (ca. 5000 - 3000 BC). The ancient artist who created the petroglyphs may have used one or more of these tools. 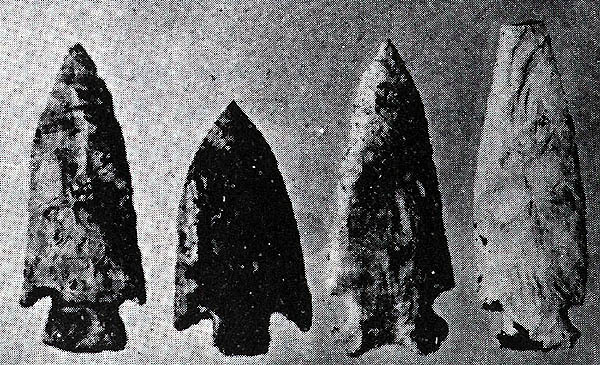 Projectile points from Miller's Cave, published by Fowke. The contracting stemmed points probably date to the Woodland Period. 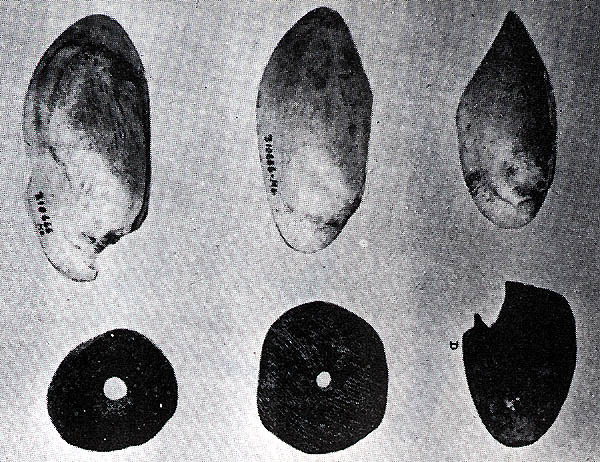 Chipped stone tools from Miller's Cave, published by Fowke. 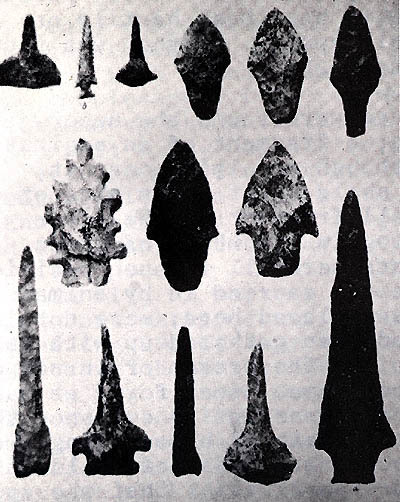 Projectile points from Miller's Cave, published by Fowke. These include Middle and Late Archaic points types. 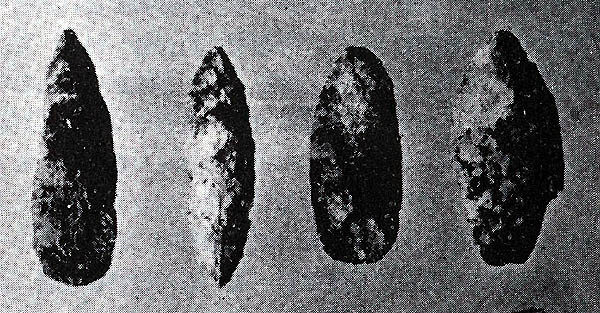 Projectile points from Miller's Cave, published by Fowke. These include Woodland points types. 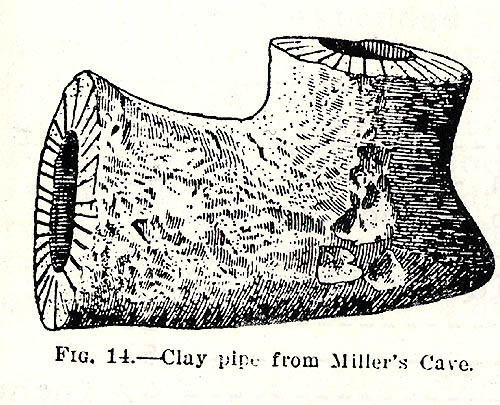 Clay pipe from Miller's Cave, published by Fowke. This form is often associated with the Late Woodland Period. 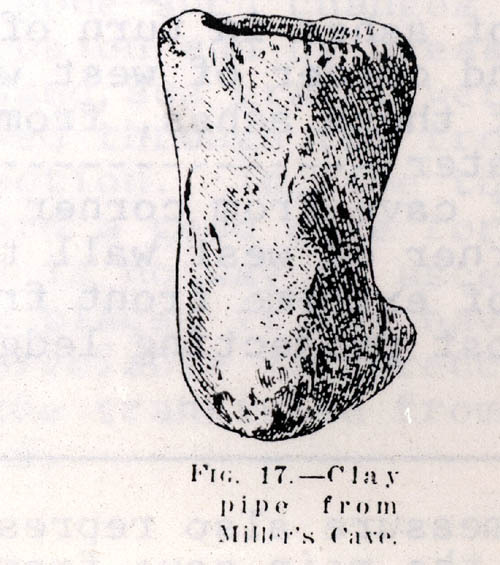 Fragment of a clay pipe from Miller's Cave, published by Fowke. This form is often associated with the Late Woodland Period. 2000 The Petroglyphs and Pictographs of Missouri. University of Alabama Press. 1922 Archaeological Investigations. Bureau of American Ethnology, Bulletin 76. 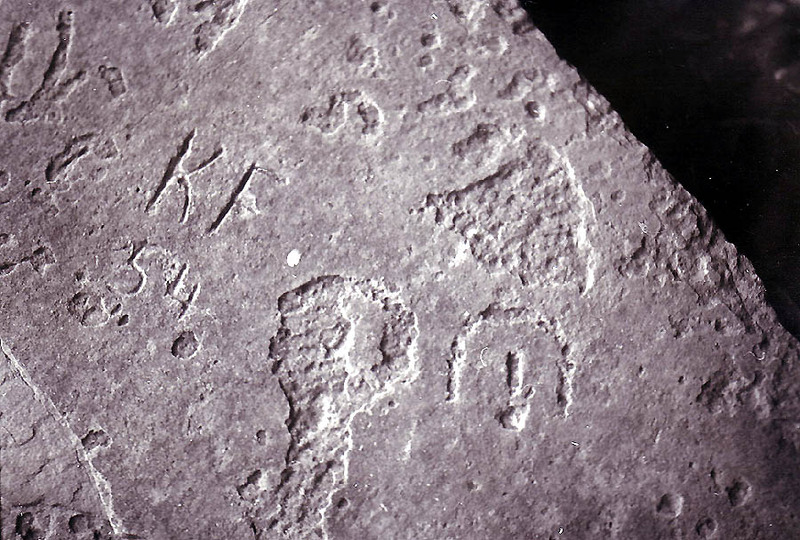 1990 Petroglyphs - Lost Forever. Missouri Archaeological Society Quarterly 7(1):17-18.